Pro wrestling legend Kamala is on life support after undergoing emergency surgery at an Oxford, Mississippi hospital on Sunday … according to social media posts from his friends and family. Kamala’s stepdaughter says doctors didn’t think he would make it out of surgery alive … but he managed to pull through and is now “showing signs of improvement,” reports ProWrestlingSheet. 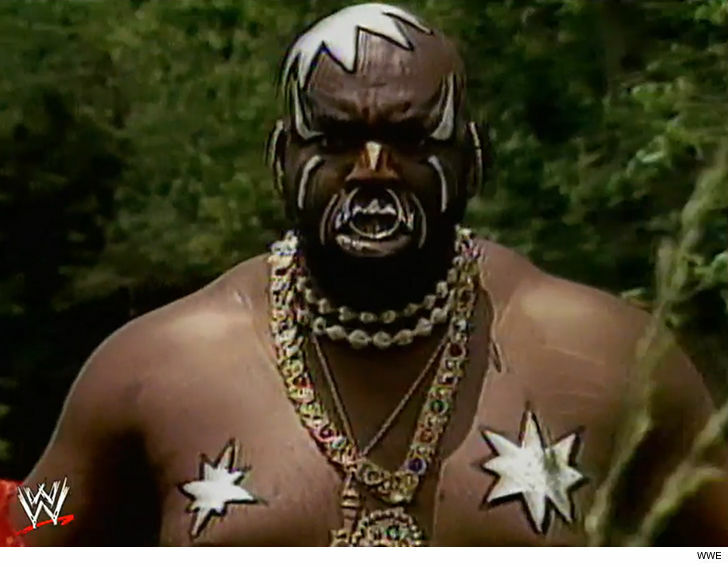 Kamala — real name James Harris — was a mainstay for the WWF in the ’80s and ’90s … feuding with Hall of Fame superstars like Hulk Hogan, Andre the Giant and Jake “The Snake” Roberts. Harris fell on hard times ﻿after leaving the pro wrestling scene. Both of his legs were amputated below the knees between 2011-2012 due to complications from diabetes … and in 2014, he revealed that he and his wife were scraping by on his disability checks.